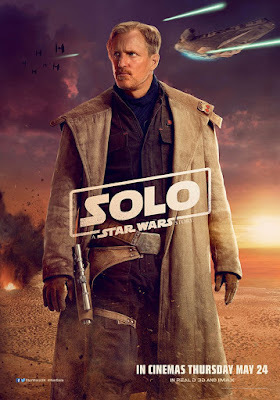 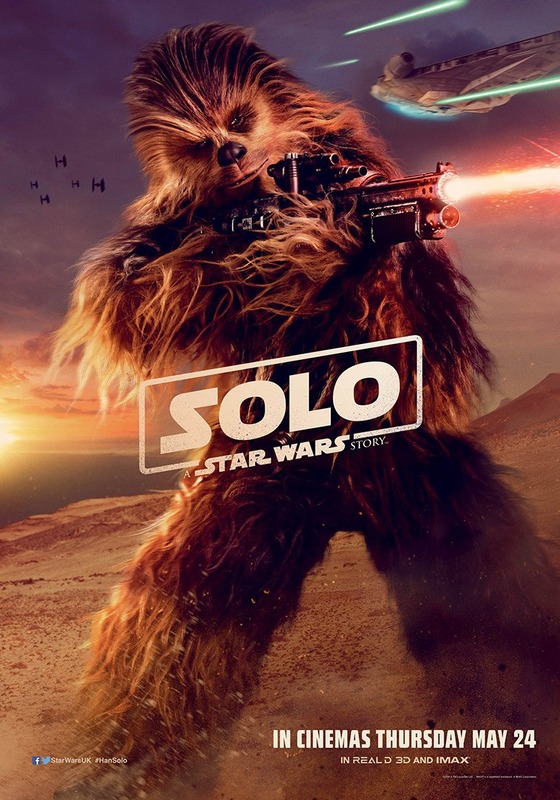 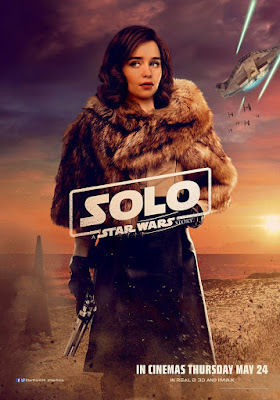 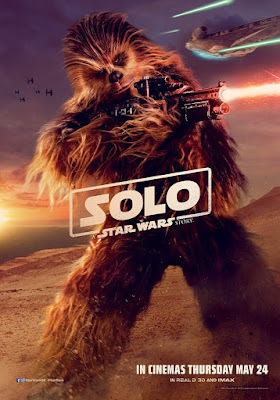 It’s Solo Friday, and what better way to celebrate than with another set of Solo: A Star Wars Story international character one sheet movie posters. This set includes what most would say is the film’s primary cast with a very Star Wars-y action filled backdrop. 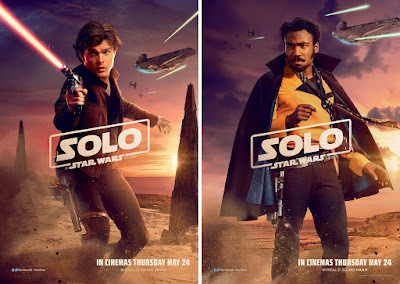 I love how each poster features the Millennium Falcon in the background being chased by TIE Fighters in various positions in the sky. It’s almost like if you line up the posters just right you can make the Falcon zoom through the sky.